Plan, schedule, see and quickly update every school color-coded plan and time commitment. 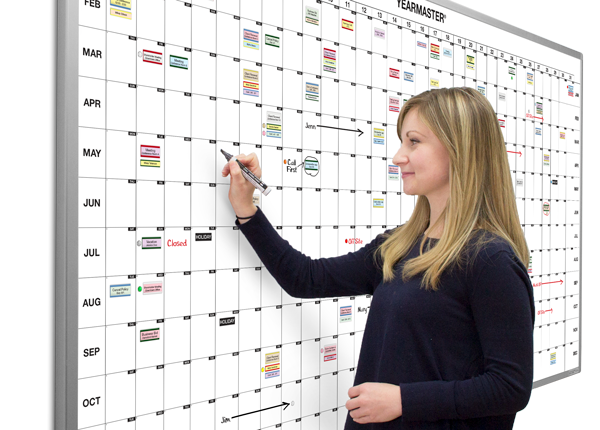 Display your daily school year calendar where teachers, staff, students and visitors can see a panorama image of your scheduled meetings, activities and events. The color-coded magnetic cardholders and status signals allow every event to be quickly identified at a glance, even in the busiest schools, and updated just by moving magnets, delivering full credibility 24/7. Principals tell us their Magnatag® calendar becomes their school's communication centerpiece, often saying: "if it's not on the board, it's not happening"